Tampa, Florida (CNN) - Not many people would associate Newt Gingrich with rap music, but now one can, thanks to three enterprising Florida teenagers who wrote "Hoot for Newt." "Yeah hoot, hoot, hoot. Hey everybody vote for Newt," is the chorus concocted by St. Lucie 18-year-olds James Johnson, Franco Hurtado, and Tyler Arcia. 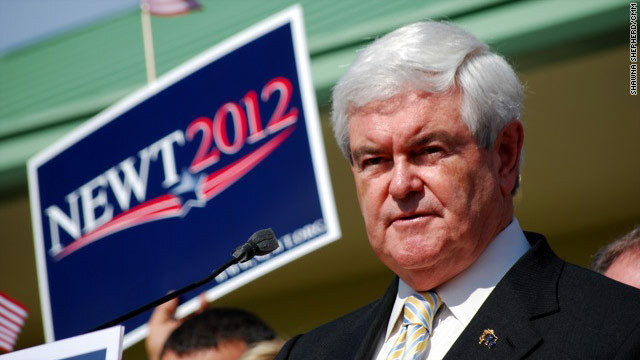 (CNN) - Former Republican presidential candidate Herman Cain endorsed Newt Gingrich Saturday at an event in West Palm Beach, Florida. 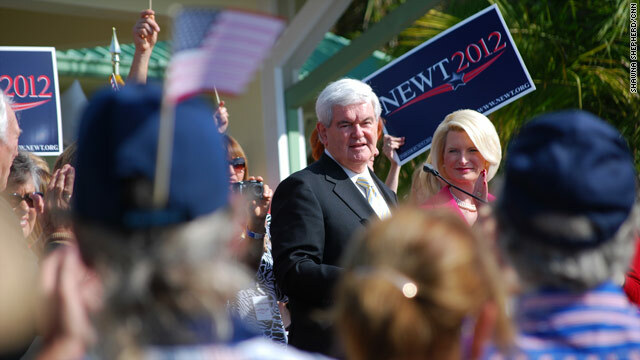 "I hereby officially and enthusiastically endorse Newt Gingrich for president of the United States," Cain said during a meeting of the Palm Beach County Republican Party. 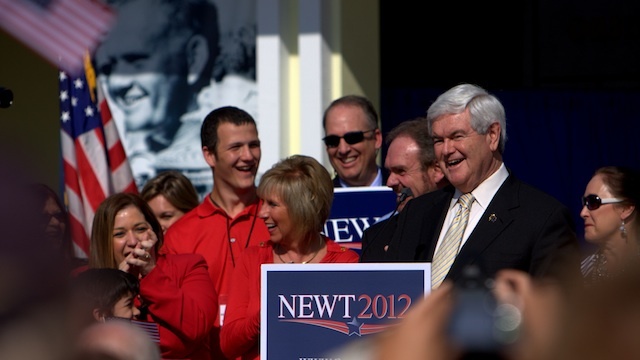 Winter Park, Florida (CNN) - Newt Gingrich cautioned against crowning Mitt Romney the Republican presidential nominee and pushed his own Washington experience as the answer to the nation's woes as he campaigned in Florida on Saturday. "We have to have a conservative, otherwise we're going to be as frustrated with the Republican as we were with the Democrat," Gingrich said before an audience of hundreds here at Aloma Baptist Church. "We've tried an amateur for the last three years, and the truth is while he may be good at business, Governor Romney has never had one day of experience trying to get something done in Washington on a scale, on a big scale." 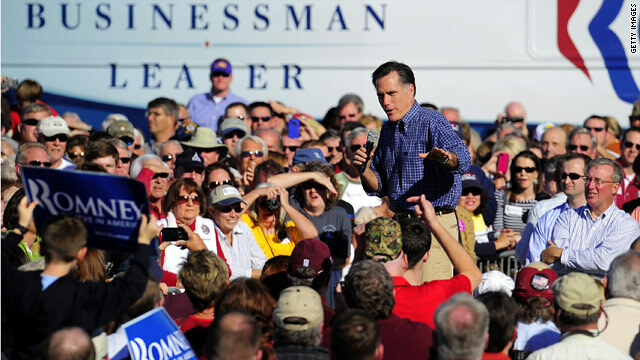 Panama City, Florida (CNN) - After largely ignoring Newt Gingrich in a series of campaign stops, Mitt Romney on Saturday called his chief GOP rival "a very nice fellow" and "a great guy with a lot of great ideas." 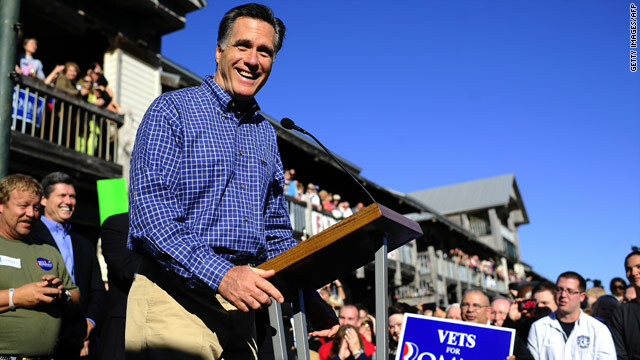 But Romney wasn't calling a truce in the drawn-out battle between the two front-runners for the Republican nomination. Amid the compliments, the former Massachusetts governor aimed a flurry of blows at Gingrich over his leadership as House speaker. Port St. Lucie, Florida (CNN) – Republican presidential candidate Newt Gingrich blamed rival Mitt Romney Saturday for his two lackluster debate performances this week. 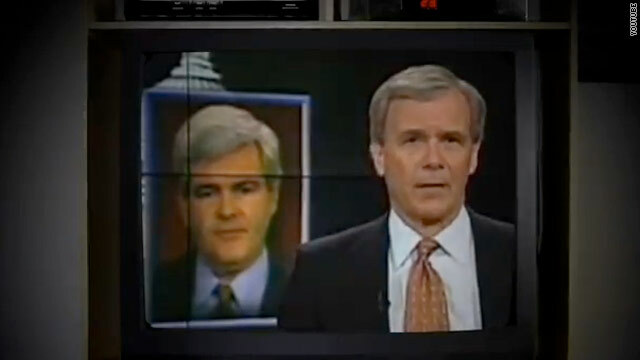 (CNN) - NBC News is asking Mitt Romney's presidential campaign to stop airing an anti-Newt Gingrich television ad that utilizes an extended clip from their evening news program. 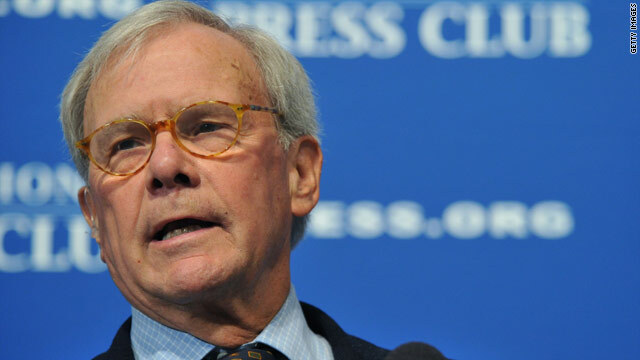 In a statement Saturday, former NBC "Nightly News" anchor Tom Brokaw, who is featured in the ad reporting on Gingrich's 1997 ethics investigation, said, "I am extremely uncomfortable with the extended use of my personal image in this political ad. I do not want my role as a journalist compromised for political gain by any campaign." Pensacola, Florida (CNN) - In a rally that at times seemed more like a stand-up comedy routine, a host of high-profile supporters joined Mitt Romney on stage at a picturesque Pensacola restaurant Saturday. Actor Jon Voight, who was a steadfast and outspoken supporter of former New York Mayor Rudy Giuliani in 2008, addressed the audience along with Sen. John McCain, Virginia Gov. Bob McDonnell and Rep. Jeff Miller of Florida. (CNN) – Three days before Florida’s Republican presidential primary, Mitt Romney’s campaign blasted Newt Gingrich through a new television ad released Saturday. Airing in the Sunshine State, the commercial zeroes in on the former House speaker’s reprimand from Congress over a 1997 ethics violation. (CNN) - Florida Sen. Marco Rubio on Saturday accused the president of failed leadership during the weekly Republican address as political attention turns to his home state leading up to its primary. 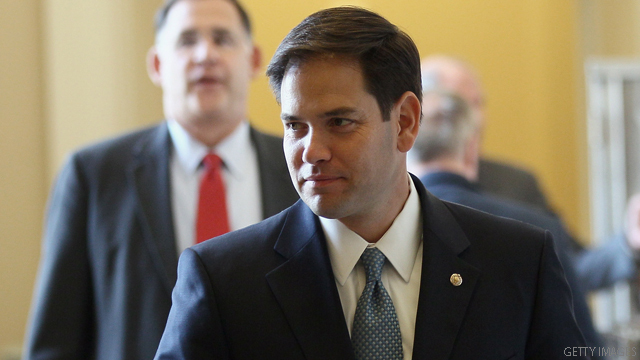 Rubio, who is popular among the GOP presidential contenders, focused on the president's State of the Union address.